Now Judas and his brothers saw that misfortunes had increased and that the forces were encamped in their territory. They also learned what the king had commanded to do to the people to cause their final destruction. But they said to one another, "Let us restore the ruins of our people, and fight for our people and the sanctuary." So the congregation assembled to be ready for battle, and to pray and ask for mercy and compassion. Jerusalem was uninhabited like a wilderness; not one of her children went in or out. 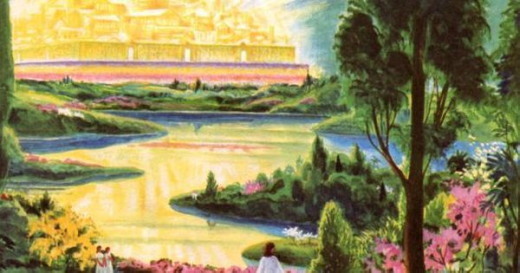 The sanctuary was trampled down, and aliens held the citadel; it was a lodging place for the Gentiles. Joy was taken from Jacob; the flute and the harp ceased to play. Then they gathered together and went to Mizpah, opposite Jerusalem, because Israel formerly had a place of prayer in Mizpah. They fasted that day, put on sackcloth and sprinkled ashes on their heads, and tore their clothes. And they opened the book of the law to inquire into those matters about which the Gentiles consulted the likenesses of their gods. They also brought the vestments of the priesthood and the first fruits and the tithes, and they stirred up the nazirites who had completed their days; and they cried aloud to Heaven, saying, "What shall we do with these? Where shall we take them? Your sanctuary is trampled down and profaned, and your priests mourn in humiliation. Here the Gentiles are assembled against us to destroy us; you know what they plot against us. How will we be able to withstand them, if you do not help us?" Then they sounded the trumpets and gave a loud shout. After this Judas appointed leaders of the people, in charge of thousands and hundreds and fifties and tens. Those who were building houses, or were about to be married, or were planting a vineyard, or were fainthearted, he told to go home again, according to the law. Then the army marched out and encamped to the south of Emmaus. And Judas said, "Arm yourselves and be courageous. Be ready early in the morning to fight with these Gentiles who have assembled against us to destroy us and our sanctuary. It is better for us to die in battle than to see the misfortunes of our nation and of the sanctuary. But as his will in heaven may be, so shall he do." Then one of the seven angels who had the seven bowls full of the seven last plagues came and said to me, "Come, I will show you the bride, the wife of the Lamb." And in the spirit he carried me away to a great, high mountain and showed me the holy city Jerusalem coming down out of heaven from God. It has the glory of God and a radiance like a very rare jewel, like jasper, clear as crystal. It has a great, high wall with twelve gates, and at the gates twelve angels, and on the gates are inscribed the names of the twelve tribes of the Israelites; on the east three gates, on the north three gates, on the south three gates, and on the west three gates. And the wall of the city has twelve foundations, and on them are the twelve names of the twelve apostles of the Lamb. The angel who talked to me had a measuring rod of gold to measure the city and its gates and walls. The city lies foursquare, its length the same as its width; and he measured the city with his rod, fifteen hundred miles; its length and width and height are equal. He also measured its wall, one hundred forty-four cubits by human measurement, which the angel was using. The wall is built of jasper, while the city is pure gold, clear as glass. The foundations of the wall of the city are adorned with every jewel; the first was jasper, the second sapphire, the third agate, the fourth emerald, the fifth onyx, the sixth carnelian, the seventh chrysolite, the eighth beryl, the ninth topaz, the tenth chrysoprase, the eleventh jacinth, the twelfth amethyst. And the twelve gates are twelve pearls, each of the gates is a single pearl, and the street of the city is pure gold, transparent as glass. As they were gathering in Galilee, Jesus said to them, "The Son of Man is going to be betrayed into human hands, and they will kill him, and on the third day he will be raised." And they were greatly distressed. When they reached Capernaum, the collectors of the temple tax came to Peter and said, "Does your teacher not pay the temple tax?" He said, "Yes, he does." And when he came home, Jesus spoke of it first, asking, "What do you think, Simon? From whom do kings of the earth take toll or tribute? From their children or from others?" When Peter said, "From others," Jesus said to him, "Then the children are free. However, so that we do not give offense to them, go to the sea and cast a hook; take the first fish that comes up; and when you open its mouth, you will find a coin; take that and give it to them for you and me." For the beauty and wonder of your creation, in earth and sky and sea. We thank you, Lord. Above all, we give you thanks for the great mercies and promises given to us in Christ Jesus our Lord; To him be praise and glory, with you, O Father, and the Holy Spirit, now and for ever. Most of us here in the United States will be celebrating the upcoming national holiday of Thanksgiving on Thursday, November 23th. For many it's a day of feast to share with family and friends with a holiday turkey and an afternoon of watching sports on TV. For many it will be a day of loneliness for those who have no one to share this holiday with or a day to remember a loved one that they used to share this holiday with. For some it will be a day to give to our communities and help feed those who otherwise might go hungry this day. For many it's a day to remember and give thanks for our achievements this past year. For many it's the day to get a jump-start on their Christmas shopping. And for many it's a day to give Thanks to God for all He has done for us and the blessings that we have received from Him. The following is a Thanksgiving prayer that I will share with everyone for the next couple of days. I will share a new Thanksgiving prayer each day through Thanksgiving Day. You may copy them and share them with your friends and family and may even use them as a prayer of grace for your Thanksgiving feast. Above all, we give you thanks for the great mercies and promises given to us in Christ Jesus our Lord; To him be praise and glory, with you, O Father, and the Holy Spirit, now and for ever. Amen. But God has put the body together, giving greater honor to the parts that lacked it, so that there should be no division in the body, but that its parts should have equal concern for each other. As members of the same family we have the responsibility to come to the aid of another member who is suffering. The body of Christ is strong when each part is closely knit together. When one part suffers, all the other members suffer (1 Corinthians 12:20–27). A pastor who was attacked and hurt in Indonesia was so traumatized that he and the family left the area and the ministry. Before we judge him, perhaps we should ask if this pastor ever received enough encouragement and help from other churches and believers. Could it be that he felt so alone because there were not enough other people who cared for him? Another believer from Hindu background in eastern Indonesia was led to the Lord by a doctor who prayed for him regarding his incurable disease and God healed him. He lost no time in joining a local church. He said, “At that time, a lot of people accepted Jesus in my village, but they were afraid of the threats from their families. When they convert, village officials come to interrogate them. I, myself, have been interrogated many times after my conversion, and warned me not to convert others. But I was not afraid. I chose to keep my faith in Him no matter what happened.” He experienced severe opposition and persecution from everyone he knew but he held fast to his faith. Open Doors then connected him with a group of other believers from Hindu background. RESPONSE: Today I will remember that I am part of a large body…a family that deeply cares for me. 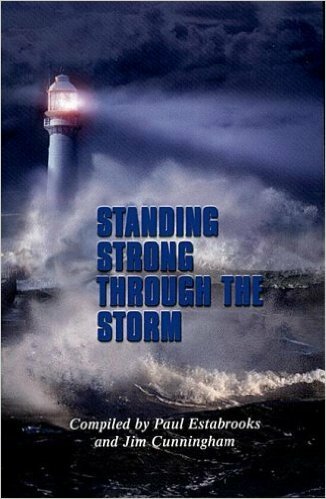 PRAYER: Pray for isolated believers that God will show them the reality of standing strong together. Are you [actually] unaware or ignorant [of the fact] that God’s kindness leads you to repentance [that is, to change your inner self, your old way of thinking—seek His purpose for your life]. I was speaking in Georgia that particular weekend. On day two of the retreat I woke up early and turned on the water in the beautiful tiled shower. As it heated up I noticed that the showerhead was mounted on an off-centered pole. It seemed very low, and was spraying straight along the plane of the wall. Odd. As I shampooed my hair, my legs were on fire from squatting. And then a thought crossed my mind… MAYBE the showerhead can be raised! I turned around and tried to lift it higher. It went higher! YES! What a difference! I was giddy … grateful that I could stand tall as I finished up. Not overly bothered by the fact that I was still hugging the wall to catch the water stream. MAYBE the shower head also turns toward the center!? Cautiously optimistic, I raised an eyebrow and turned around one more time to give the head a wiggle. It was adjustable! FANTASTIC! The space was amazing! I was free to move. Free to stand tall. Free to relax. And free to finish what I’d started with a fresh joy and happy heart. A few small tweaks made all the difference! In the book of Romans, Paul addressed a few areas where the early church needed to make some tweaks. He spoke of the sinfulness of all people and also about the difference in the way non-believers and believers see and address sin. He told the Roman believers to be humble in the ways they judged others and to recognize that God is the judge of all. He encouraged Jesus followers to examine their hearts and reminded them that it is the kindness of the Lord that leads us to repentance. This is as important for you and me today as it was for the people of the early church back then. As I considered my funny shower escapade I was reminded that a few small spiritual tweaks each day can make all the difference too. As a Jesus follower, I have the opportunity every day to step into the fresh grace of God - to be washed in His goodness. As I do He showers mercy and faithfulness over me that renews my soul. 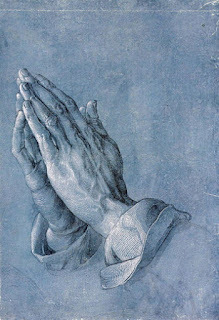 When I open my heart in prayer, His Spirit connects me to the path of His will and convicts me toward His holiness. These moments of connection and conviction cause me to consider the condition of my heart as well as the circumstances that surround me. I’m forced to assess soul situations, my emotions, edgy responses, unkind words, missed opportunities, snippy attitudes, and the myriad of rebellion I’ve got going on. As the Spirit of God brings these matters to me I address each one, then ask the Lord to lift the showerhead of my heart up a little or over a bit. To align it in a spacious place where I can stand tall and free. His grace meets me in the asking. Grace gives our souls room to breathe. As we make the small adjustments of confession in our hearts and breathe in grace, we’re renewed and refreshed. Thank You for giving me this day. As I quiet my heart before You, please show me the ways that I can grow more in Your holiness. Create a clean heart in me, Lord. Free me freshly in Your grace. Spend a few moments in prayer and reflection about a small tweak or two that the Lord might be leading you toward. Tired of going through the motions when it comes to your relationship with God? Ready for a more vibrant walk with Jesus? 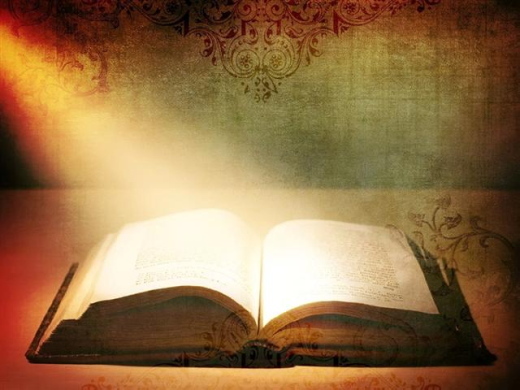 Learn how to grow in faith, power, and impact according to the Word of God. Order your copy of I Want It ALL today from Amazon, Barnes & Noble, ChristianBook.com or your favorite retailer. 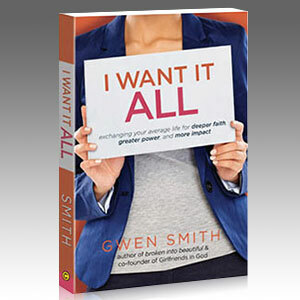 SPECIAL OFFER: If today’s message is where you are and you need more practical help, check out Gwen’s latest book I Want It All. We’re offering a 20% OFF discount on the I Want It ALL book at our webstore when you use the coupon code: 20OFF. Click here to get yours now. 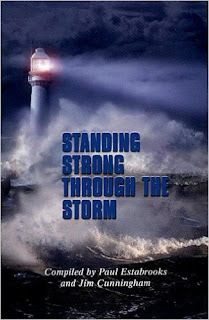 LHM Daily Devotion - November 22, 2017 "Getting Around to God"
Tomorrow is Thanksgiving -- that special time of year when most of us fight crowds, high gas prices, and crowded airport security lines, so we might come together with family and friends for a few days of relaxation, reunion, and renewal. Tomorrow is Thanksgiving -- a time for families and friends to roll themselves up to tables which are groaning under the weight of every culinary delicacy our taste buds could imagine. Tomorrow is Thanksgiving -- the day when many will plot their assault upon the Black Friday bargains which are too good to pass up. Tomorrow is Thanksgiving, so we've replaced the batteries in the TV's remote control and memorized the channel numbers and kickoff times of every bowl game being played. Tomorrow is Thanksgiving, and I've listed some of the things many folks will do. Now I have one more suggestion. I think we ought to give thanks. You see, none of the activities I've listed do that -- offer thanks to the Lord. A few years ago, I heard about one family which always chose one of their membership to say a special prayer before the family ate their Thanksgiving dinner. One year the lot had fallen to six-year-old Rosalyn. She began, appropriately enough, by thanking mother for preparing the turkey and dad for his job which gave them the money to buy the turkey. The family sat patiently as she thanked the clerk for selling the turkey and the store for stocking the turkey. She thanked the trucker who had brought her turkey to the store. She thanked the farmer who had raised the bird, as well as the feed store which had made it so the turkey could be plump. Then at the end of the lengthy litany, she solemnly asked, "Have I forgotten anyone?" Her impatient eight-year-old brother, grunted, "You've forgotten God." With an icy gaze, Rosalyn looked at her brother and announced, "I was just going to get to Him." And that's the problem. 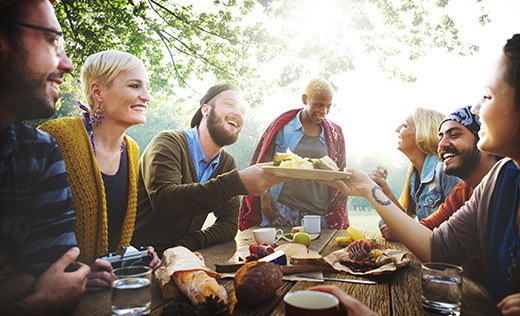 When it comes to Thanksgiving Day, most people don't start their day with God, they just, kind of get around to Him. And that's sad. We shouldn't spend more time preparing stuffing for a dead bird than we actually spend thanking the Lord. All of this takes me to the point of this devotion. Why not start out thanking the Lord ... in church. Now I know, I know, to that idea some of you would think that going to worship is a major speed bump to getting everything done which needs to get done if a proper Thanksgiving is to be celebrated. Or, are you among those who believe a pastor's Thanksgiving Day sermon should, like the afternoon's turkey, be equipped with a pop-up timer to let him know when he's done? We know we shouldn't feel that way, but some of us do. Well, folks, that bird is going to be done when it gets done -- and so is the sermon. With the right attitude you can enjoy both. And God will be thanked first, not last. 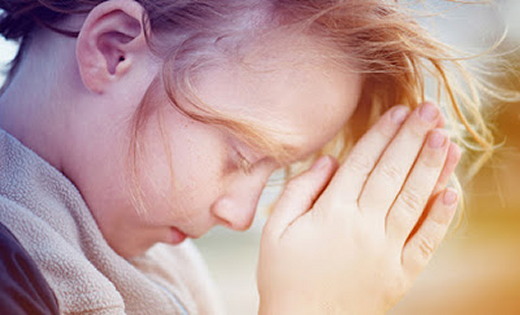 THE PRAYER: Dear Lord, forgive us for those times when we want more of the world and less of You. This year let us begin by thanking You and not just getting around to it. In the Name of Jesus who is our greatest cause for thanks, we pray. Amen. Hijos de Jacob, yo soy el Señor, y no cambio. Por eso ustedes no han sido consumidos. ¿Se han dado cuenta que cuando le cambian el nombre a un artículo, a menudo también le cambian su valor? Por ejemplo, yo he visto que en una tienda donde se vende "calzado", los precios son más altos que en una tienda donde se venden "zapatos". Un "jornal" es generalmente más caro que una "revista". Y una organización que atiende "asociados" es a menudo mucho más cara que una que atiende "clientes" o "usuarios". Cuando le mencioné estos ejemplos a un amigo, él inmediatamente agregó: "no te olvides que ir al "salón de belleza" es tres veces más caro que ir a la "peluquería". Ese mismo principio probablemente se aplica también a las personas. Me pregunto si un "guardia de cárcel" gana menos que un "oficial de seguridad", o si un "basurero" gana menos que un "recolector de basura". ¿Es una "ama de casa" de menor valor que una "supervisora de la economía del hogar"? Por supuesto que hay algunas cosas que nunca cambian. Cosas como la muerte, o el pagar impuestos. También hay otra cosa que jamás cambia: la mayoría de nosotros llevamos encima pecados, defectos, dolores y problemas. Y es por eso que necesitamos también otra cosa que nunca cambia: el perdón que podemos recibir y que nos da la salvación comprada con la sangre del Salvador Jesucristo. Gracias al sacrificio de Jesús, sabemos que no hay nada que pueda separar a los creyentes del amor de Dios. No hay absolutamente nada. ORACIÓN: Amado Señor, te damos gracias porque nunca cambias. Gracias a tu amor inmutable somos perdonados de nuestros pecados y ya no esperamos la condenación que una vez nos aguardaba. 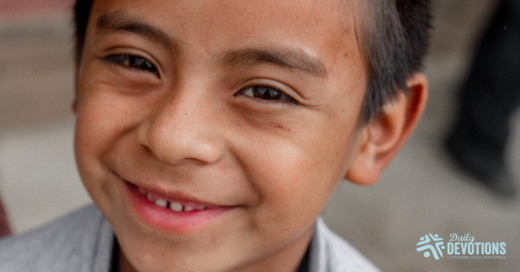 Gracias por el amor incondicional que nos das a través de Jesús, en cuyo nombre oramos. 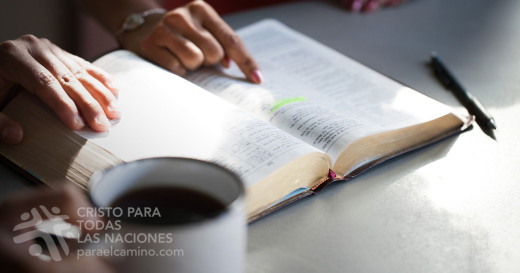 Amén. ¿Se han dado cuenta que cuando le cambian el nombre a un artículo, a menudo también le cambian su valor?